Nikkei Hall sold, proceeds used for community grants. A commemorative photo taken in front of Santa Monica Nikkei Hall upon its completion in 1957. An addition was completed in 1969. The Santa Monica Nikkei Hall, once the hub of Santa Monica’s Japanese American community, has been sold by its three remaining officers. Located at 1413 Michigan Ave., the one-story building was designed in 1957 by architect Y. Tom Makino (1907-1992) and constructed by Santa Monica Nikkei Hall Inc., which was established by Issei community leaders after Japanese Americans returned from the World War II camps. The buyer is a major television and film production company already located in Santa Monica. “This property is the former site of Santa Monica Nikkei Hall, a Japanese community organization founded in 1950. “Proceeds from the 2017 sale of the property were donated to local community and religious organizations, who are now entrusted to preserve and maintain the Ireito on behalf of Santa Monica Nikkei Hall. The 59th annual bilingual interfaith service will be held on Monday, May 28, at 9 a.m. at Woodlawn Cemetery on the corner of 14th Street and Pico Boulevard in Santa Monica. Six of the participating organizations are recipients of Santa Monica Nikkei Hall grants: West Los Angeles Holiness Church, West Los Angeles Buddhist Temple, West Los Angeles United Methodist Church, Venice Free Methodist Church, Venice Hongwanji Buddhist Temple, and Venice Japanese Community Center. Future grants will be made on an annual basis to other organizations supporting the community, with the Los Angeles-based Asian Pacific Community Fund serving as administrator of the fund. The Nikkei population enjoyed a higher level of integration and experienced less racial intolerance than other minorities in Santa Monica prior to World War II. Instead of being relegated to the Pico neighborhood, they lived throughout the center part of the city and Ocean Park, and attended public schools. Katsuzo Matsumura began a Japanese language school (Gakuen) in his living room in 1924 with eight students. As more students began to attend, a school was constructed at 1824 16th St. It also served as a community center, bringing together families for such events as Obon festivals, picnics, parties, plays, and reading and writing contests. After Pearl Harbor, many local Nikkei were sent to Manzanar. Upon their release, few returned to Santa Monica — about 161 by 1946. They faced a severe housing shortage as the city’s population had increased by about 25 percent from 1940 to 1945. The War Relocation Authority and Federal Public Housing Authority established government-funded housing in converted Army barracks on Pico between 24th and 25th streets as well as in two hostels, while the Gakuen — which had been used as a military training headquarters during the war — became a housing facility. Leaders of Santa Monica Nikkei Hall in November 1965. 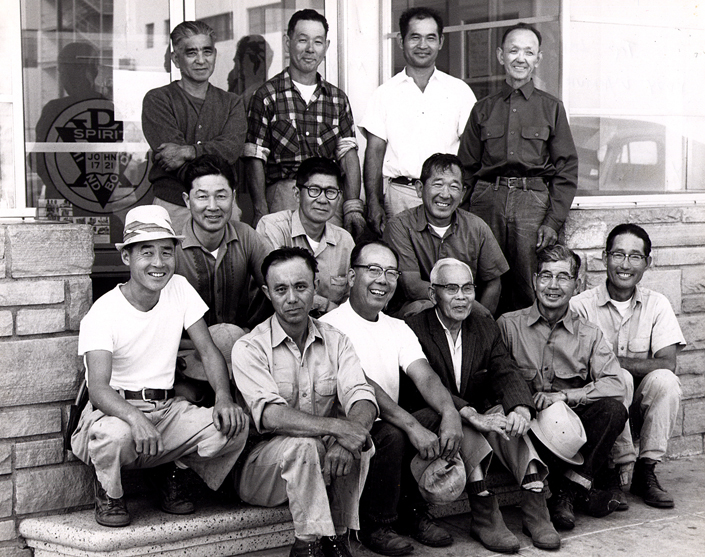 Back row, from left: Eddy Uyemura, Tom Endo, S. Naoye, Mr. Abe; middle row, from left: Yutaka Ohigashi, S. Takahashi, G. Dote; front row, from left: H. Ishiwata, F. Makuta, Tom Matsumura. Mr. Sakata, Mr. Ichiho, Mr. Nishimura. By 1950, Santa Monica’s Nikkei population had grown to 254. With the immediate postwar problems of resettlement and readjustment no longer as acute, they were able to focus on rebuilding and unifying the community. The newly formed Santa Monica Nikkei Hall Inc. purchased the Michigan Avenue property. Due to the Alien Land Laws, which were still in force, the property was placed in the names of four Nisei officers: Tetsu Ando, Kozuko Asao, Masaru Matsumura and Jimmy Fukuhara. The group began to collect money from the community while meeting informally at members’ homes for six more years. It was decided to build a new community center because upgrading the Gakuen, which wasn’t up to code, would be too costly. The directors initially planned to include a barbershop, beauty shop and dry cleaner in the center, but this was later deemed too ambitious. By 1960, many Nikkei lived in the center portion of the city, settling near the former Gakuen. The most populous streets included Michigan and Delaware avenues and 12th, 18th and 19th streets. Located around the corner from the Gakuen, the hall was a convenient meeting place. At its inception the Nikkei Jin Kai boasted between 75 and 100 members, primarily Issei and Nisei couples. In 1965, the community began to commemorate Japanese American history, reuniting at the hall annually to honor their predecessors. As time wore on, younger generations assimilated further into American society, and by 2000, the hall was primarily a center for senior citizens with approximately 80 members. The property also includes a two-bedroom apartment, which would not be considered part of any proposed historical landmark. The unit, which is still occupied, may be a challenge for the new owner because the city has rent control. 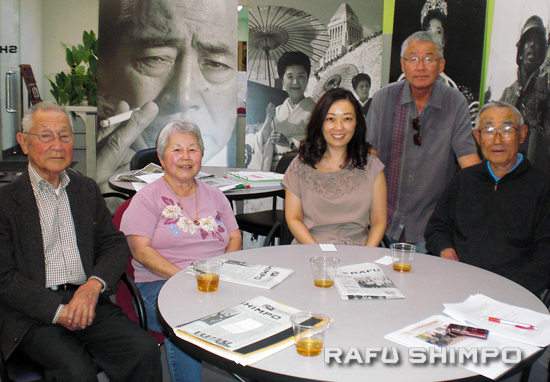 During a recent visit to The Rafu Shimpo, the three remaining members — Jimmy Fukuhara, Yutaka Jack Ohigashi and Kazuko Sue Takahashi — shared their memories of Santa Monica Nikkei Hall. Ohigashi said that right after the war, local Nikkei had difficulty getting re-established and made use of tanomoshi — a rotating credit association in which members made regular contributions to a common pot to be used for business startups and other major purchases. At the same time, he said, they got together for recreational activities like jewelry-making classes, a dancing club, and potlucks. The Ireito at Woodlawn Cemetery, a joint project of the Santa Monica, Venice and West L.A. Nikkei communities, was erected in 1959 and rebuilt after the 1994 Northridge Earthquake. 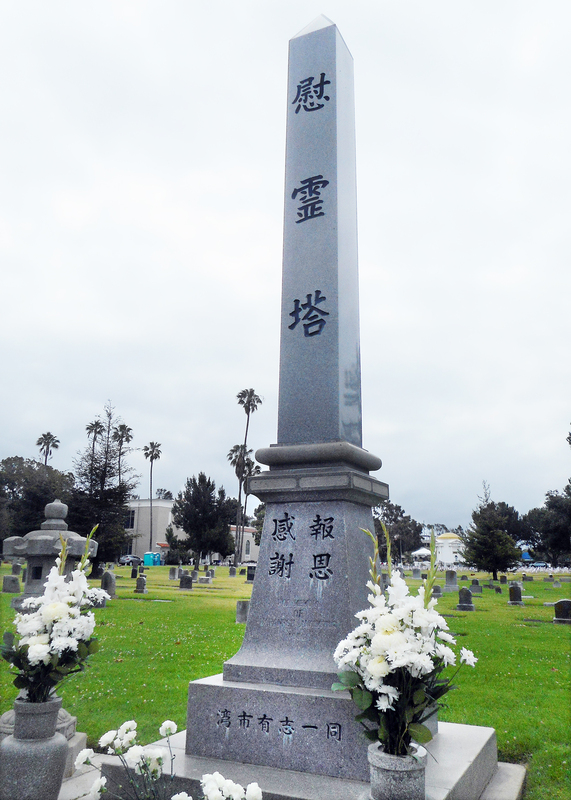 Takahashi noted that the communities worked together again after the monument was damaged by the January 1994 Northridge Earthquake. Repairs were finished in time for that year’s Memorial Day service. In contrast to efforts to preserve the Tuna Canyon Detention Station site in Tujunga and Historic Wintersburg in Huntington Beach, the Nikkei Hall members are not standing in the way of demolition. Whatever happens, the sale itself will not be affected. Today, Steve Ohigashi said, part of the site’s appeal is its proximity to the Expo line. Regarding the sale, he emphasized that there is “absolutely zero personal financial gain” for the board members. LATE BULLETIN: The Santa Monica Landmarks Commission voted on May 14 to designate Nikkei Hall as a landmark. A more detailed report will follow. I am so sad to hear this. Important history is being lost.